I didn't really know what I was expecting. I haven't watched the film in years and I couldn't remember that much of it. This book is so very moving. I found Noah's and Allie's Love for each other breath taking and beautiful, Just like Noah's poetry. My tears have stained this book, but I think it's also changed everything I thought about Nicholas Sparks novels. I've only read A walk to remember and whilst it was enjoyable, I found it a bit depressing. 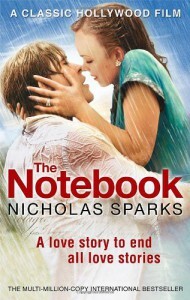 The Notebook is very deserved of all the praise that it get's and I will be finding more Nicholas Sparks novels to feed an addiction.